February 26, 2014 Alicia James11 Comments on ღ Day 2 ღ 2014 Hair Growth Journey – My New Twist!!! 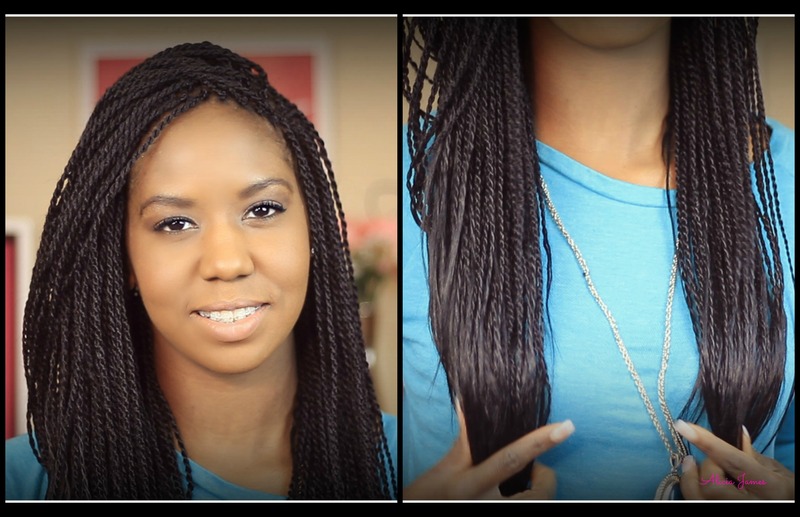 ღ Day 2 ღ 2014 Hair Growth Journey – My New Twist!!! Yesterday I got my senegalese twist done! I am totally in love with them. They are beautiful and I have to say that the shop I went to never fails me. Before I went natural and during my first year I went to the shop for my braids, twist, and also sew in weaves. This shop knows what they are doing. It took five hours. I had two people working on my hair. At one point one of the ladies took a break, and then later joined again to finish up. I am not sure how many packs and what brand of hair they used. I will check that out next time. Hair was provided at the shop. The total I paid was $200 that is not bad at all! The shop is here in Houston, it is called Braiding Image for those of you who live in the area. My head is a little sore, but nothing too bad. Yesterday I didn’t even want to touch my hair. Today, I put it up in a really pretty hairstyle! See –> It would be lovely to keep them in for eight weeks, but I am not sure if that is realistic. There was a time when I could keep my twist or braids in for that amount of time, but it has been a really long time since I’ve worn my hair like this with added hair. I will be updating on maintenance etc. After eight weeks I will be doing another length check on my natural hair to see how this helped me along. I love it and I think it is a really cute and fun change! FABULOUS Alicia! That style is really really beautiful! Two people worked on your hair, I didn’t know shops did that! The place I used to go to would not even let a second person get close to your head, “Na ah this is my client!” I have my two strand twist in now they’re kinda chunkier then I normally do them and for the challenge I think I’m gonna go back to leaving them in for 2 weeks at a time. I don’t know though because my head does sweat while working out, I might do like a quick co-wash half way through! Have you ever tried dry shampoo? Maybe that will work! Thanks for sharing! Very pretty! 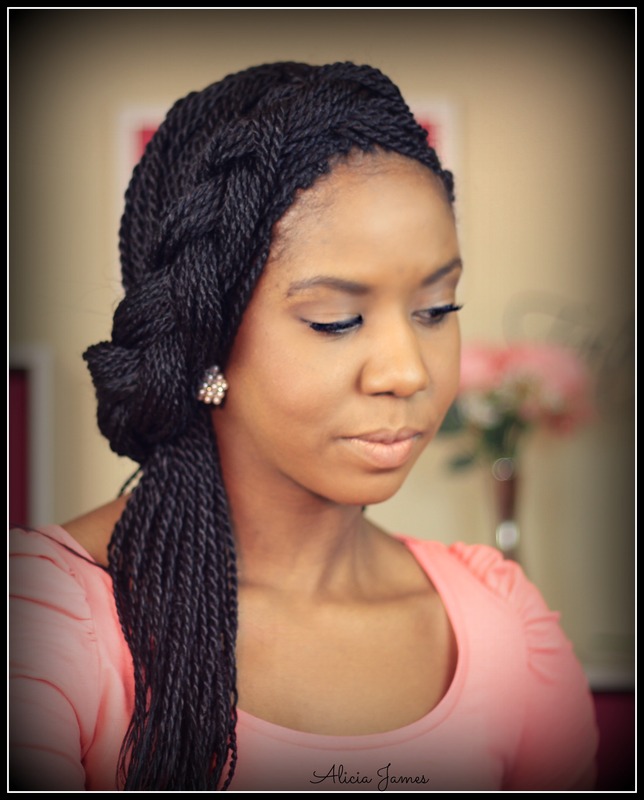 I love the size of these twists look like they would take longer than 5 hours to do! wow they did a great job on the twists! Looks great. Did you do it for the look, protective style or both? Absolutely gorgeous, makes me want to get some, so this is what you did to retain length while your hair was growing? Alicia’re fabulous. I do not know which to admire more, your hair or your dazzling fresh beauty. I end up admiring both. Looks pretty amazing. I love your hair and your daughter’s hair. Keep up the great work. they are LOVELY. go girl!! Adorable! Amazing! Lovely! Gorgeous! I love your twist! You are so beautiful! Thanks for sharing your experience! Nice photos!